The Nebraska Supreme Court has long prioritized the goal of equal access to justice. 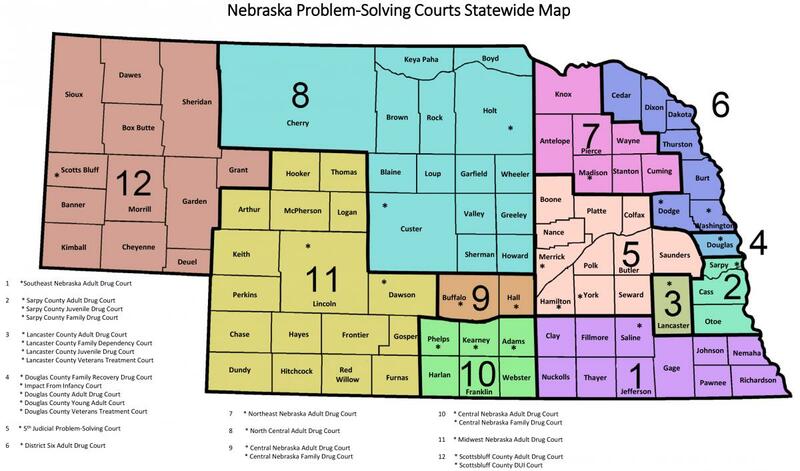 The Court’s first Strategic Agenda produced in 2010, identified “providing access to swift, fair justice” as the first of six overarching goals of the Nebraska Judicial Branch. The Strategic Agenda for 2017-2019 again places access to justice as the first goal to be accomplished and emphasizes that our judicial system is based upon the principle that all individuals coming before our courts are entitled to equal justice. In the fall of 2016, the Nebraska Supreme Court authorized the formation of an Access to Justice Commission in Nebraska. The vision for such a commission is to coordinate the various activities and projects among the courts, the bar, legal service organizations, legal education providers, the legal and public libraries, and the community. A primary objective of the commission is to leverage limited resources and to increase the impact of the work being done to address the unmet access to justice needs of Nebraskans. To facilitate formation of such a commission, the Supreme Court established an Access to Justice Planning Committee and tasked it with making specific recommendations regarding the scope, organization, funding, and staffing of the commission. The Planning Committee held a summit on December 9, 2016, and reported its recommendations to the Nebraska Supreme Court in March 2017. The Nebraska Supreme Court subsequently approved the recommendations of the planning committee and established the Access to Justice Commission. In May, an inaugural slate of 24 Commissioners was appointed. The Commission is Co-Chaired by Nebraska Supreme Court Justice Stephanie Stacy and Nebraska State Bar Association Executive Director, Dr. Elizabeth Neeley.